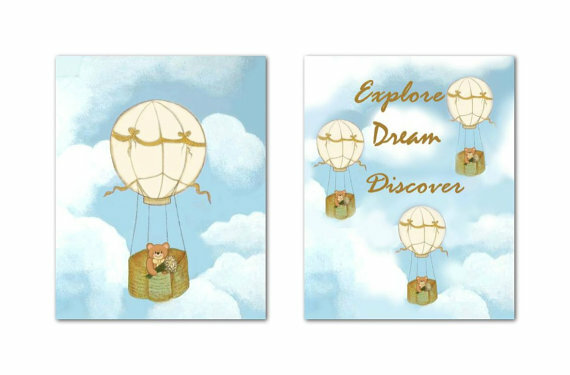 Kids Nursery Prints: Beautiful nursery hot air balloons themed in neutral colors! Ideal for baby girl, baby boy or twins! Beautiful nursery hot air balloons themed in neutral colors! Ideal for baby girl, baby boy or twins! A beautiful nursery in neutral colors! Ideal for baby girl, baby boy or twins! Your little ones are going to love this adorable wall art with the little bears and the hot air balloons! This beautifull Wall Art is a rebroduction of my ORIGINAL Hand painted Artwork for Baby Nursery Kids room Decor!